One of my favorite areas in Los Angeles is now home to one of my favorite hotels, and it only took two visits for me to call it that. 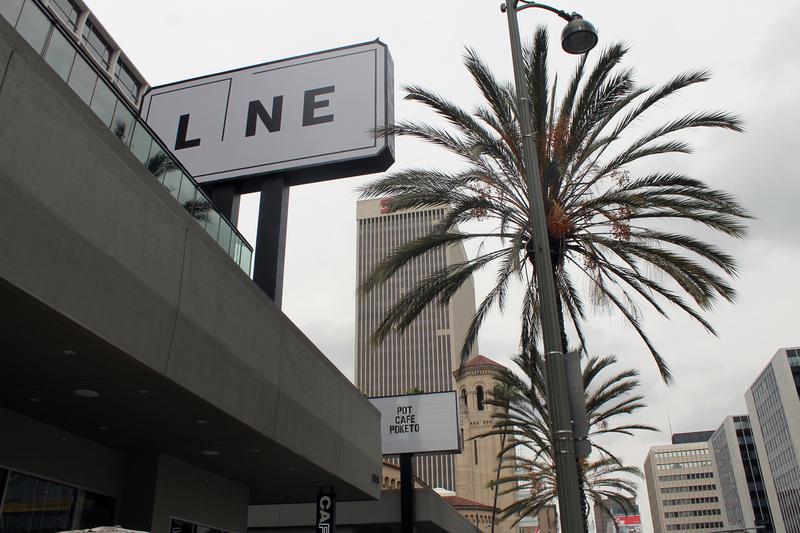 Welcome to The Line – LA’s new hotel situated in the heavily populated, distinctly urban Koreatown. I had the opportunity of taking a tour with the hotel’s creative and cultural specialist, Sana. Let’s begin. 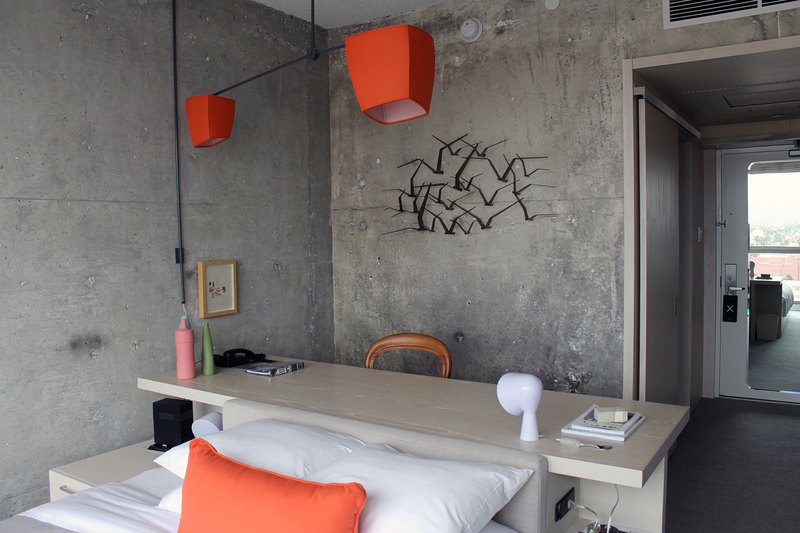 The 12 story, 300+ room hotel boasts modern and minimalist design. 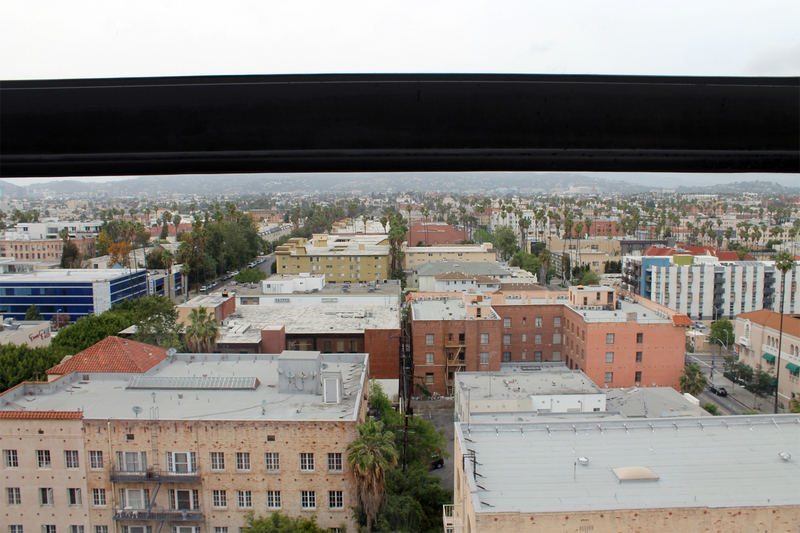 I first went upstairs to check out the king bedroom on the north side, where you get cityscape views stretching as far as the Hollywood sign and the Griffith Observatory. It’s clean and simple with complimenting nods to Korean and Latin culture via the use of color and upholstery. In the south side rooms, you get a view of the hustle. 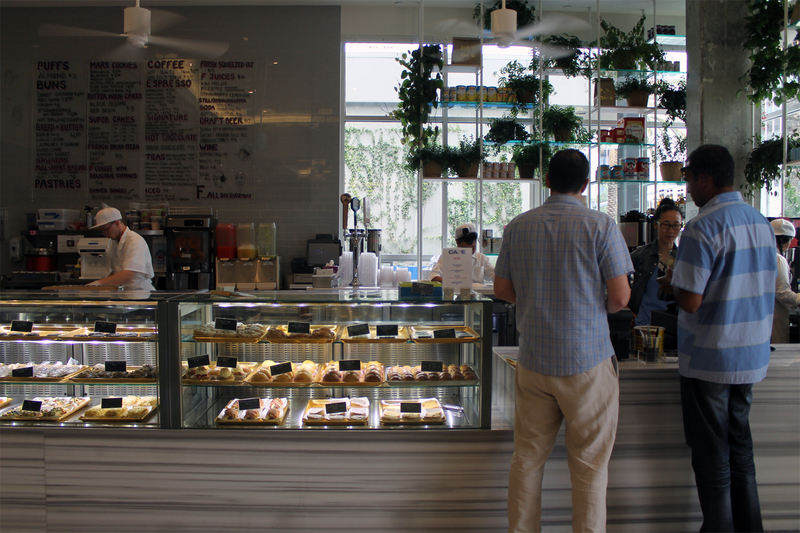 After all, K-Town is one of the few 24-hour hoods in LA. 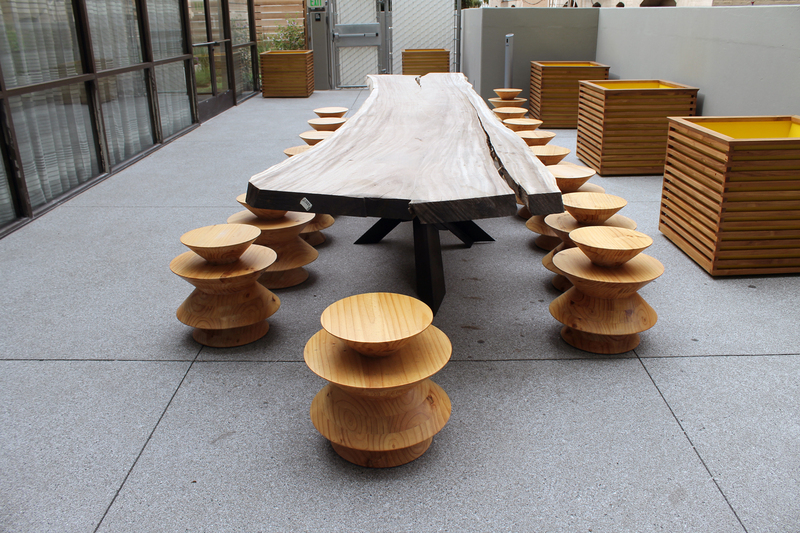 The outdoor terrace is still under construction, but will be used as an eating and drinking lounge catered by Roy Choi. 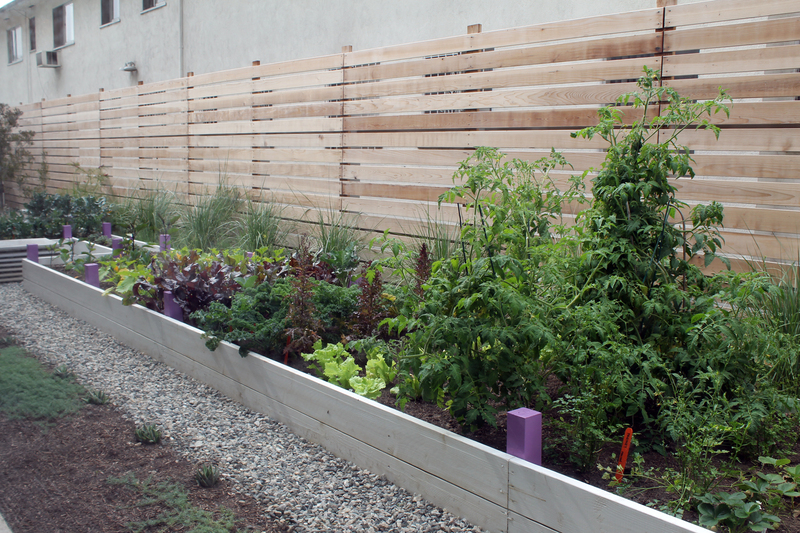 The adjacent garden is used for ingredients at the POT bar. What’s cool about standing right there on the terrace is the view of the room windows. 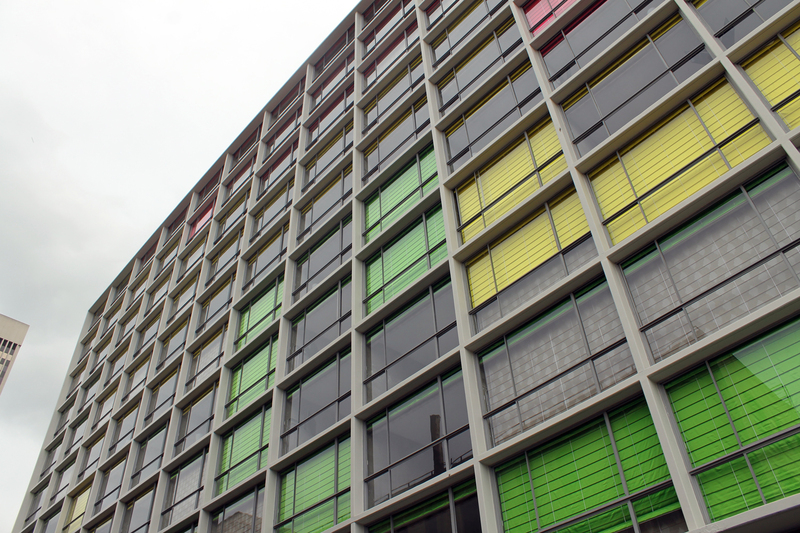 Each window has either pink, yellow, or green blinds. The exterior of The Line will always appear different to passersby as the colors change depending on the guests. 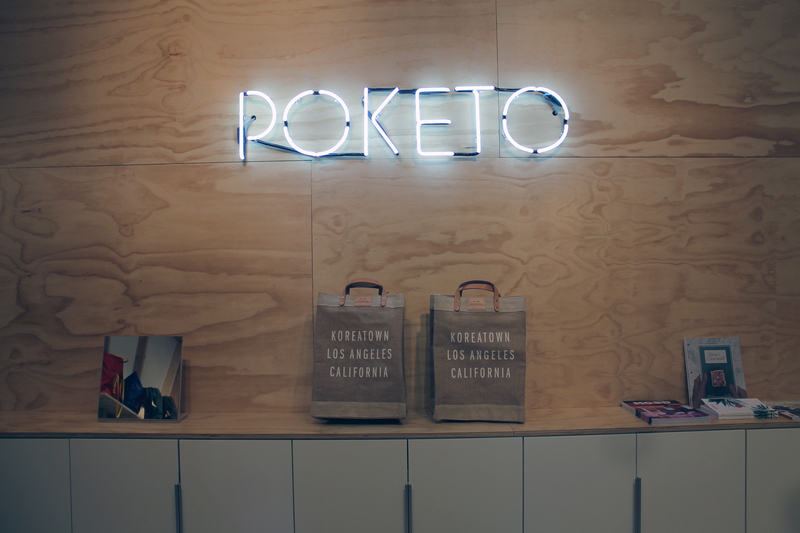 Poketo is their unconventional hotel gift shop. No tacky knick-knacks here. Just cool stuff like Koreatown burlap tote bags, houseware, books, and jewelry. 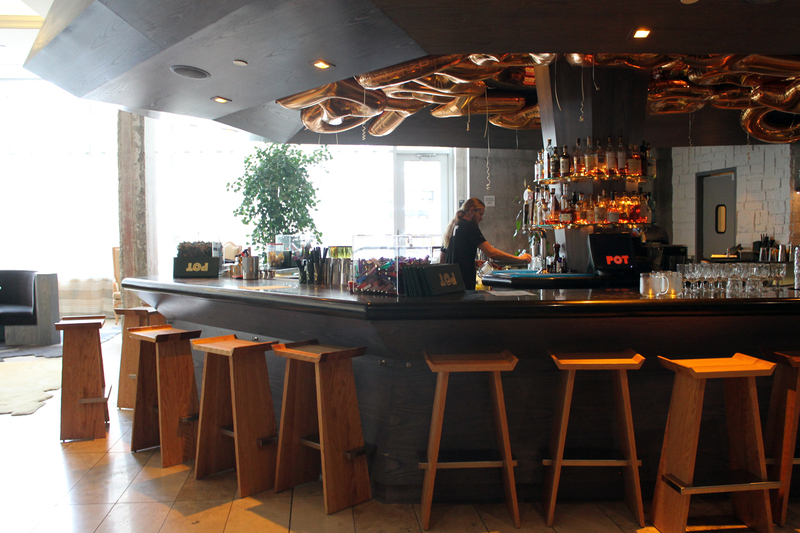 In the lobby, you’ll find the juxtaposition of concrete walls and old t-shirts plastered to the ceiling, the POT bar serving uni cocktails, and the Café with treats like red bean buns. 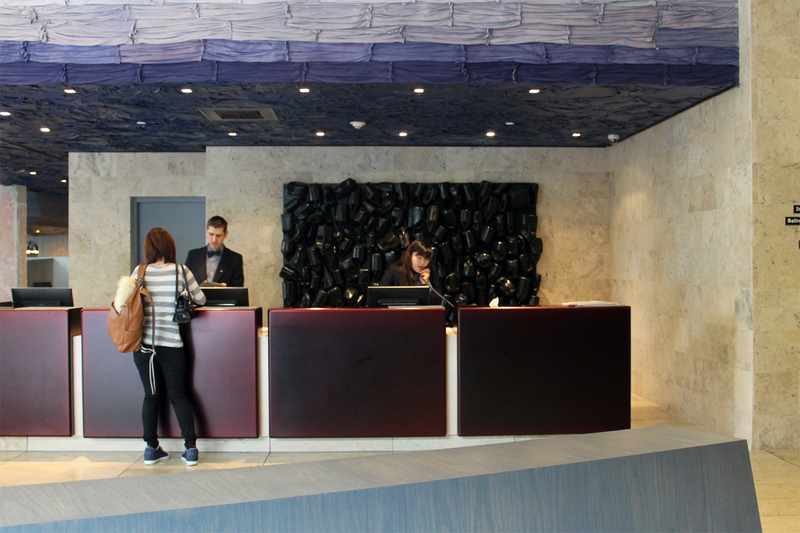 On Wednesday nights, the lobby transforms into the event “BAKED”. You’ll easily find the best looking people in LA hanging out listening to a musical potluck of sound. 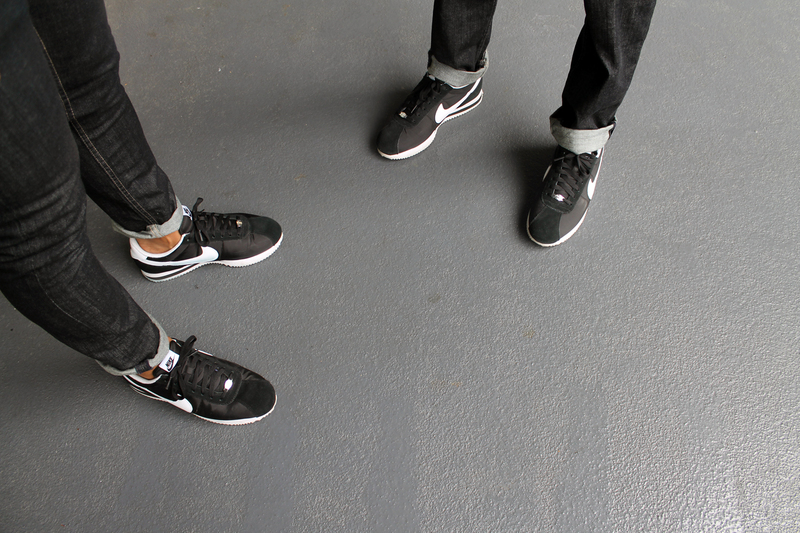 And finally outside in the valet area, you’ll be greeted by valet parkers who are required to wear Nike Cortez’. There are also bicycles in the same area available for guests to use around the city. Once fully operational, The Line will have over 300 rooms, meeting and event spaces, two restaurants, a café, and room service overseen by Roy Choi, a lobby lounge, a full on bar by the Houston Brothers, Poketo, and a pool. Can’t wait! Many thanks to Sana for showing me around. Stay tuned for Part Two tomorrow, where I feature Roy Choi’s POT, and also some words from the street food king himself.